I apologize for the long hiatus! I came back from my Thailand and Tokyo trip two weeks ago but was recovering from a bad stomach virus, but I'm back to update on my trip! 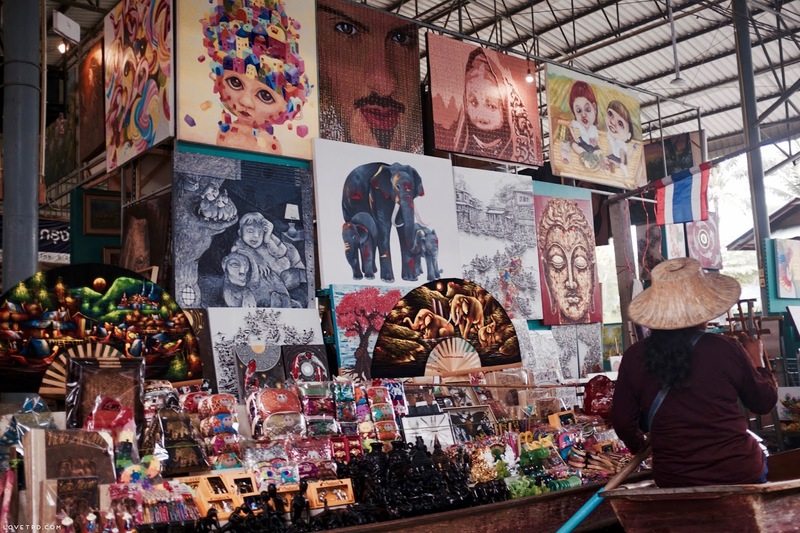 Sadly I don't have that many photos since I lost my lens cap for my camera, but I was able to snap some photos at the floating market. 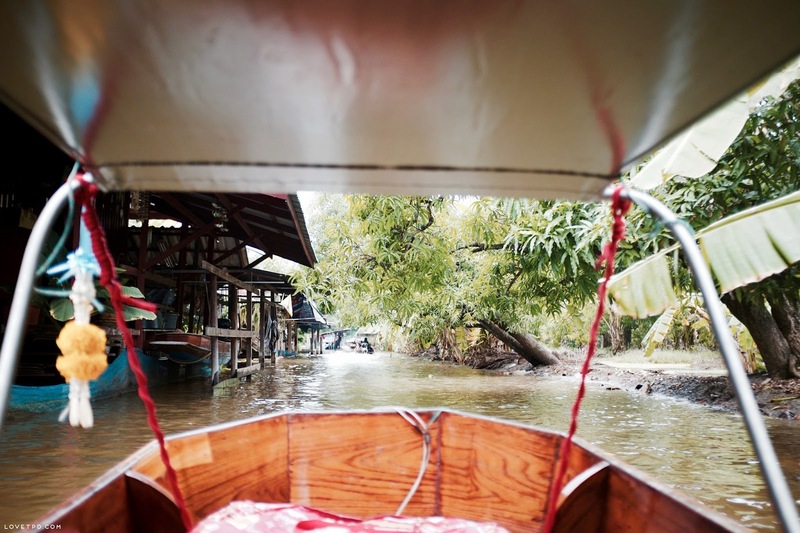 Thailand is a beautiful country and I would recommend going there if you ever have a chance. I do want to go back if the opportunity arises since my stay in Thailand was so short, but will most likely have to go back when I have a stronger immune system. 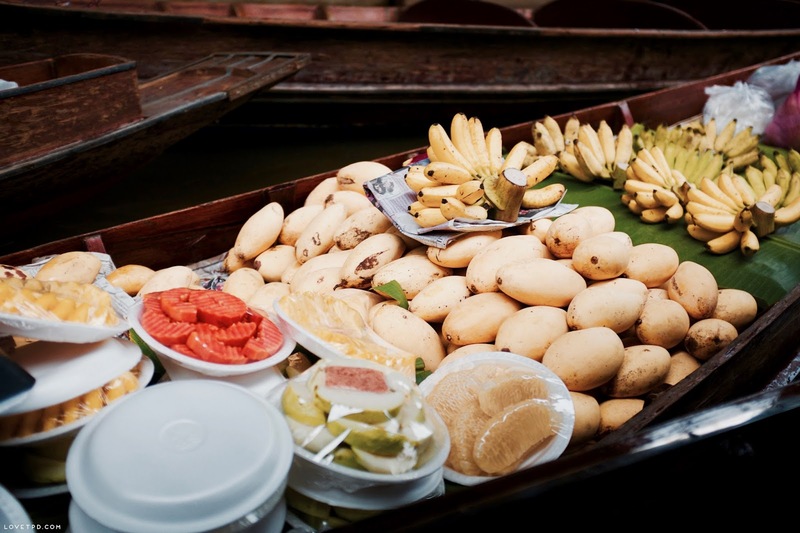 I wasn't able to do much since there were unexpected hiccups along the way, but I was able to experience both the touristy and local side of Bangkok and Phuket. One thing for sure is that Bangkok's traffic can be summed up in one word...chaos. Almost everyone owns a motorbike or a car and it's really fascinating just to see how people get around in Bangkok. 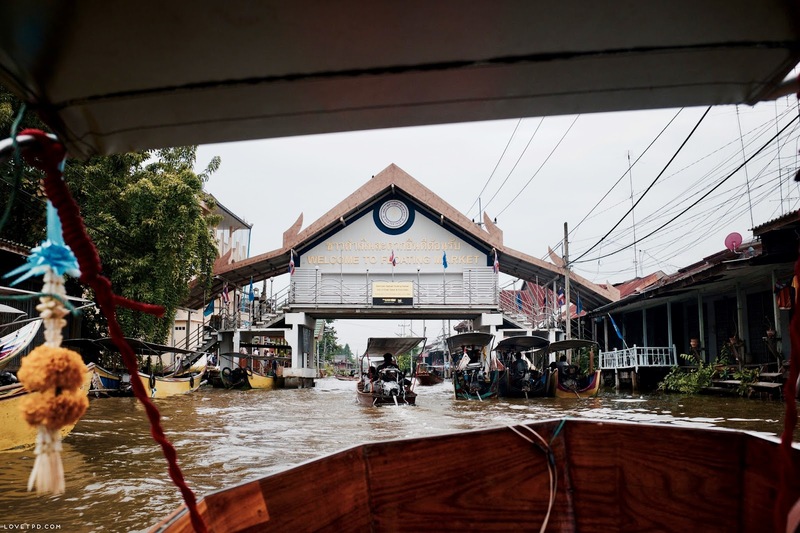 I mostly used uber or a taxi to get around, but also took the BTS (metro) in Bangkok.I took a local bus to get to Damnoen Floating Market, a famous market where most tourists flock to. 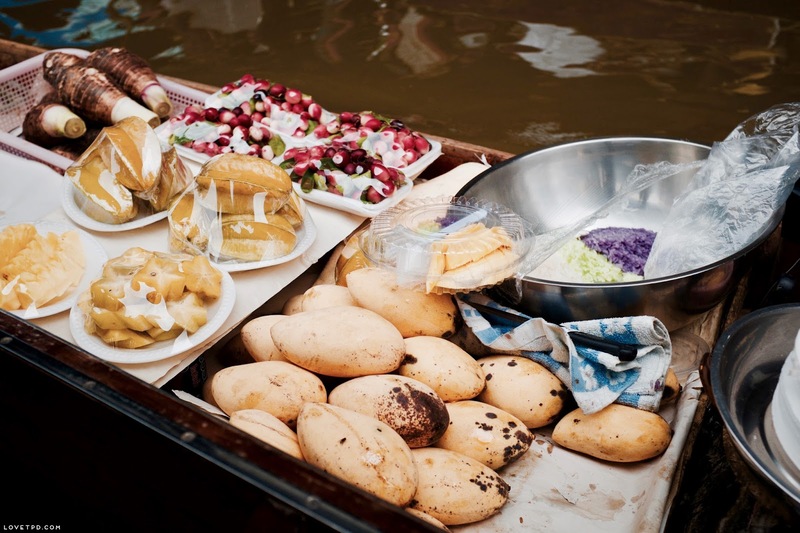 It took about two hours or so to arrive at the floating market because the bus stopped frequently, but I didn't mind since I got to experience a different side of Thailand, The floating market is a huge flea market where you can buy delicious dishes and desserts directly from vendors in their wooden canoes to shopping at different shops from your boat. It's fun to also people watch and window shop from afar. The boat ride didn't take too long because we arrived close to closing time and the crowd had already left by then. 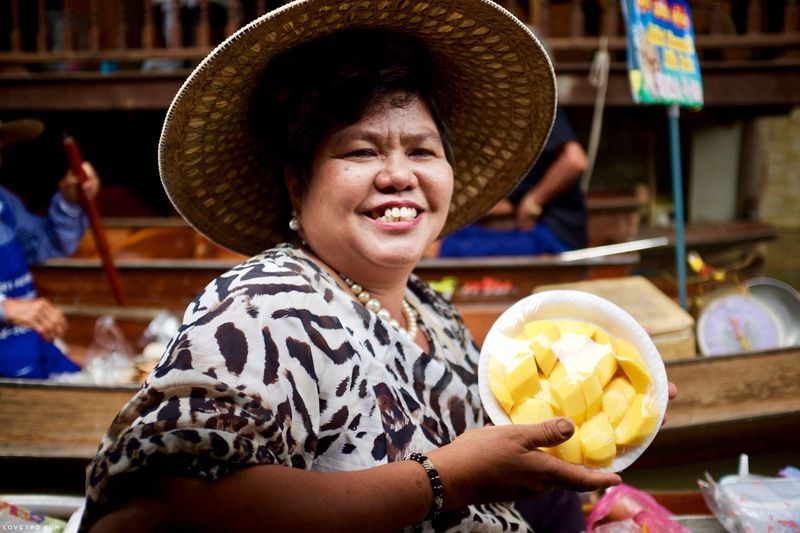 The lady pictured above asked me to take a photo of her after I bought mangos from her - she was so sweet and hilarious despite the language barrier. Her smile made my day! 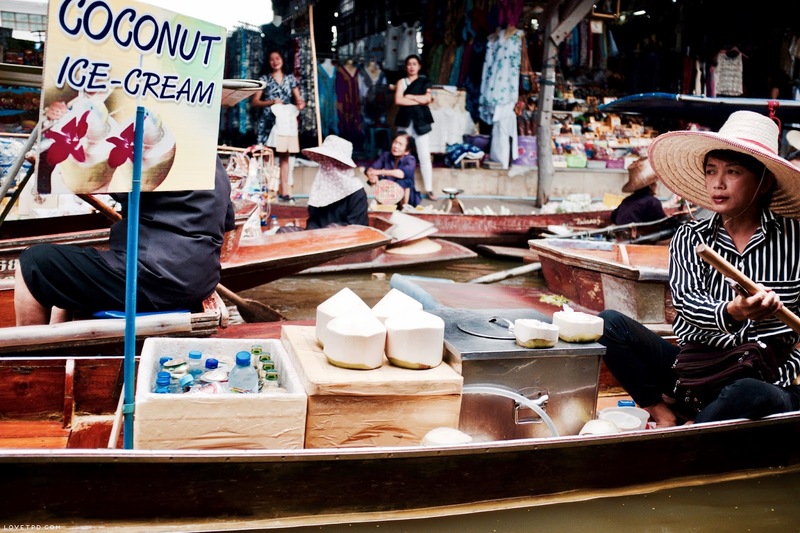 It definitely is a unique experience and I would recommend visiting one if you have time to fit it in your itinerary when visiting Thailand. 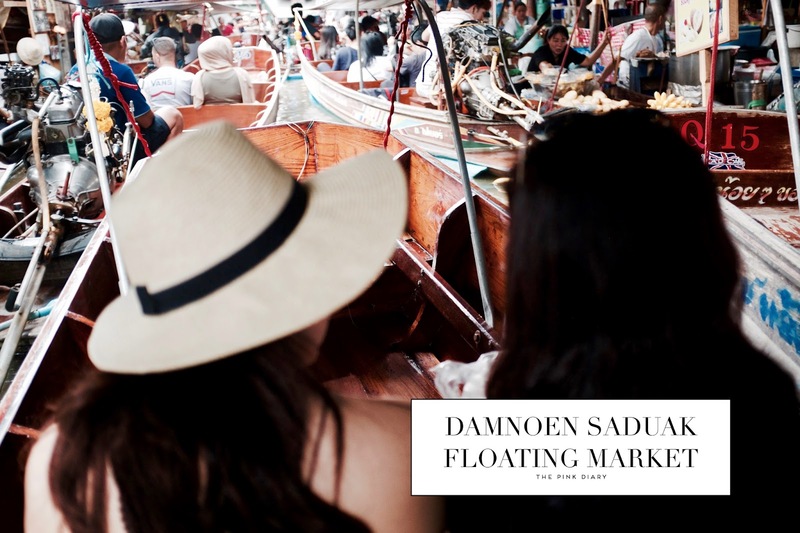 One thing to note is that there's a different boat fee for tourists than locals and you can (and should) haggle, because the initial fee is fairly expensive. 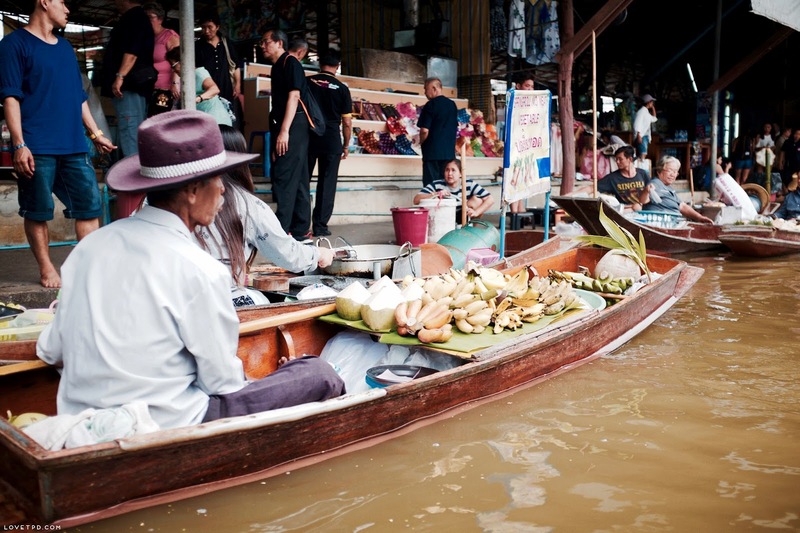 Other popular floating markets to visit are Amphawa, Khlong Lat Mayom, and Taling Chan. 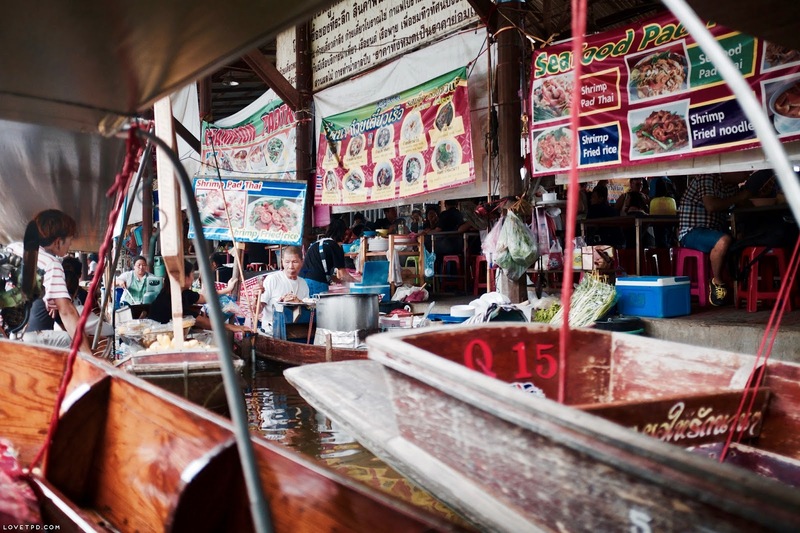 I've been to Bangkok a lot for the past few years but have never brought myself to the floating market! I would love to one day. Ah, the traffic there is absolutely stressful. Where I live, Jakarta, it's like that everyday! This all looks amazing! I need to explore Asia much more I think! You could tell me what camera you use for blog photos and instagram, .. they are beautiful.